Red Riders is a great opportunity to do something fun for a great cause. 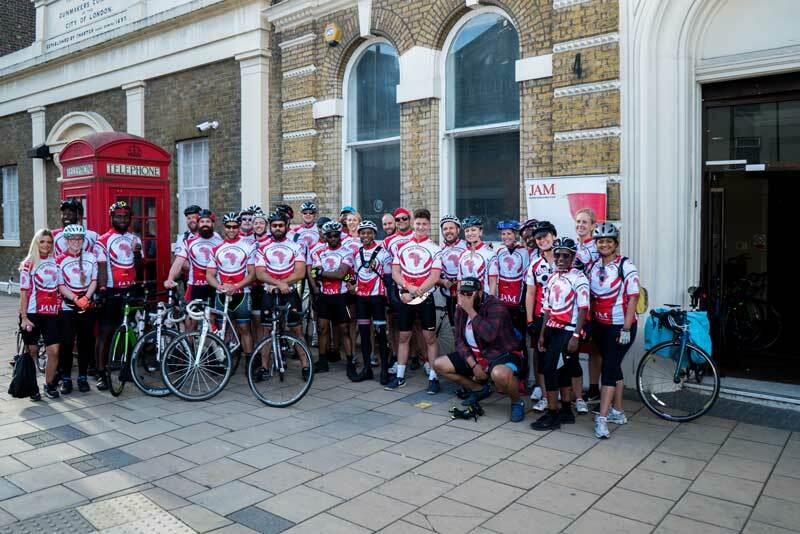 Every year a group of cyclists come together and cycle to a destination, with every penny being raised towards our feeding programmes and agricultural projects in Africa. This year why don’t you get involved and sign up to support JAM! We won’t be setting off until August so you have plenty time to get yourself trained up and ready to embark on the journey. We will help you to set up your own personal fundraising page which you can share with your family and friends. You will also receive a cycling jersey to identify JAM when you are cycling. Sign up today and express your interest, we will send you some further information about the event.